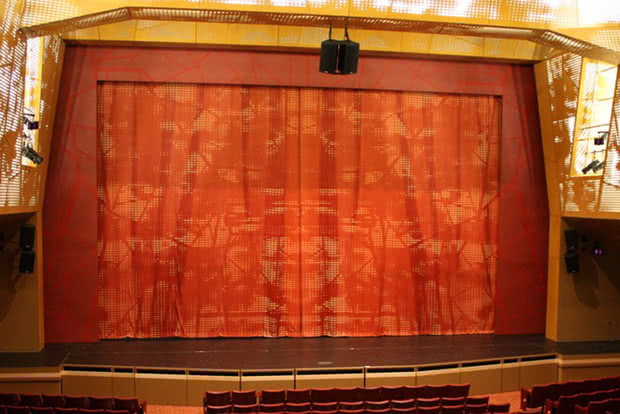 Whether you need a complete package with installation or just a replacement drape, Musson can help with all your custom drapery and rigging needs. We've tapped into our decades of expertise to give an overview of common terms below. Need pricing on drapery? Head over to our pricing request form. Theatrical draperies are usually made with a velour fabric, which comes in a range of colors and styles detailed in the links below. 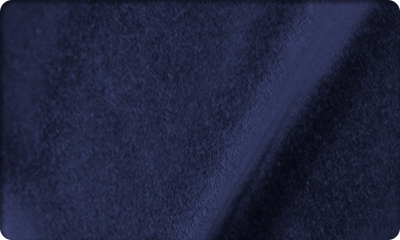 We generally recommend Synthetic Velour since it resists tearing and is inherently flame retardant. Alternate fabric is also available, however they have reduced color and style options (use our Request Form to see all options). 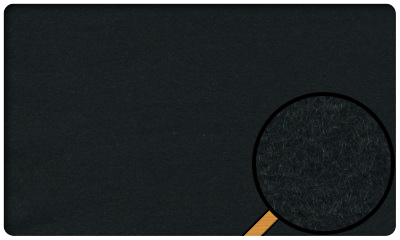 Often used for a Main Drape or Grand Drape, usually made from velour with 50% fullness (or more). Also used for mid/up-stage travelers. Allows upstage areas to be hidden for scene changes or to simply make a more intimate scene. Hangs in front of drapery tracks and lighting, prevents audience from seeing rigging/lighting fixtures. Usually made of the same material as the drape it frames. Also known as a Teaser. A Drop is a finished piece of fabric ready to paint, typically used for painting scenes. Cycloramas have a similar construction, but are a solid color (usually white) and not intended for painting. The solid color allows for colorful backgrounds that change according to your lighting. Legs serve a similar purpose as borders and hide the sides of your stage. Most theatre's have multiple pairs of legs, usually in front of each electric. These unique drapes have an open weave which allows them to be opaque or translucent depending on the lighting. When built in to sets you can create dynamic scene shifts, such as from the exterior to interior of a house. 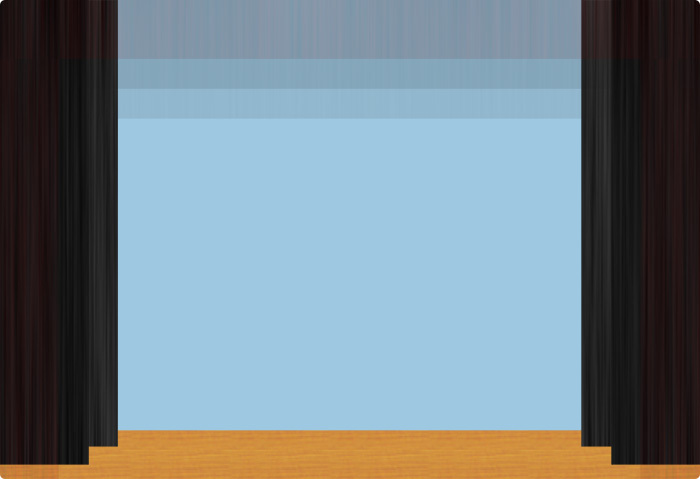 When lit from the front (only) scrim appears opaque. By adding light behind the scrim it becomes translucent. Our generic term for any single piece of drapery not described by the options above. Can be as small or large as you want! Rarely used, some scenic artists prefer Canvas over Muslin when painting drops. 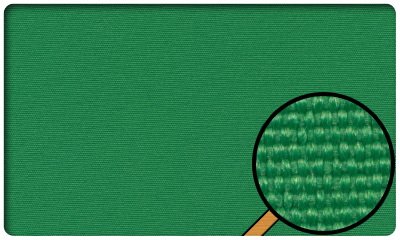 Also known as Chromas-Key, this fabric is perfect for your digital media needs. Also available in a blue color. Used as an economical alternative for velour fabric. Natural cotton material which blocks light. Available in a range of colors. Used as an economical alternative for velour fabric. Natural cotton material similar to Commando, but lighter weight and not as effective in blocking light. Available in a range of colors. 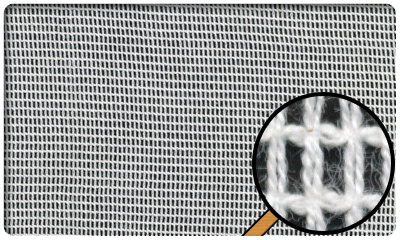 A scrim material which is filled instead of open, which creates beautiful reflected light for cycloramas. Theatrical work-horse fabric, commonly used for drops, cycs, and to cover flats. Available in Natural, White, Black & Sky Blue. 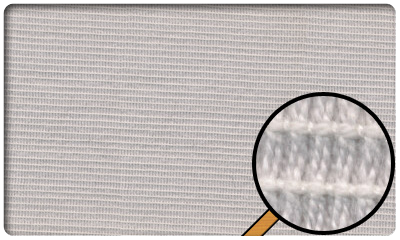 Has an open weave which allows for an opaque or translucent appearance depending on the lighting. Typically used for scrims and special projects. Ounce per square yard is the imperial measurement which is also commonly used. A higher number indicates more fabric thickness and weight. A lower number means thinner fabric. 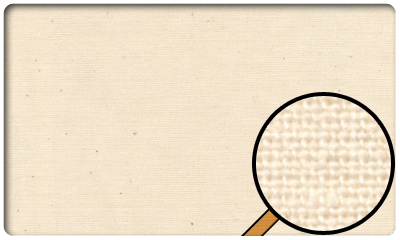 Indicates whether a drape will be a single seamless piece, or have seams that combine pieces of fabric. Seamless fabric is always more expensive. We usually only recommend seamless fabric for cycloramas. When choosing seamed fabric, we highly recommend vertical seams. Horizontal seams may rip when weight is applied to the bottom of the drape. Fullness determines how much fabric will be gathered at the top of the drape to create a pleated look. By adding fullness a drape changes from a flat shape, to a richer texture. Fullness can also hide seams in fabric, by strategically placing seams inside of fullness pleats. Fullness is determined by style and percentage, we normally use the "Box Pleats" style at 50%-100%. Percentage determines the amount of fabric added, 0% is none, and 100% is the width of your drape. Typically used when attaching to a track. The snap can be sewn flush with the top of your drape, or slightly above it. Similar to Curtain Snaps, but has a visible grommet and snap. The snap can be removed and replaced with tieline for versatility. Standard method of attaching to a pipe batten. Tie is 12" long and looped through a grommet. Spacing is usually 12" between grommets. 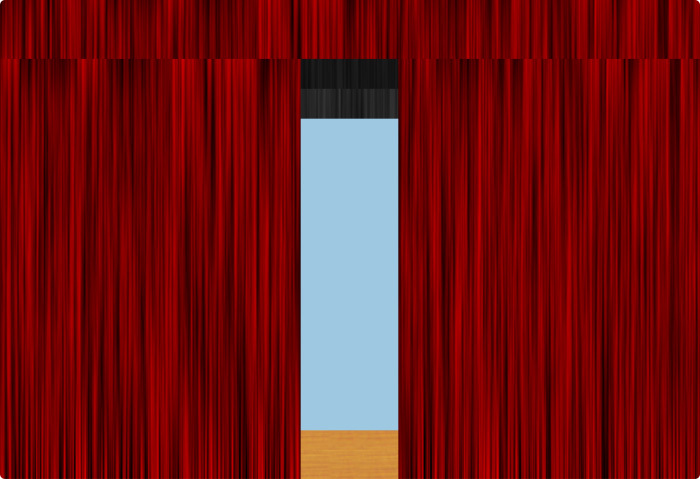 Also available in a hidden version (Opera Ties, above) which is not visible from the front of the drape. As a top finish, this is used for Pipe & Drape setups. A continuous pocket is sewn at the top and used to suspend the drape. Intended for 1" O.D. pipe battens, does not have any holes mid-pocket. As a bottom finish, commonly used for cycs and drops. A long piece of pipe keeps the drape flat with minimal wrinkles. The bottom finish is also available with a skirt option, which helps hide the pipe from the audience. Not a common option, but a great choice when you're covering the front of platforms. We sew the "fuzzy" side on the drape and include an adhesive roll of the "rough" side. Used for DIY projects, or if you plan to attach your drape directly to a wall, etc. Similar to a Pipe Pocket, but instead uses chain to weigh the drape down. Does not keep drape as flat as a pipe pocket, but a great choice for any drapery used in a rigging/fly system. Also available with tape weights, which don't make noise during movement. A standard side & bottom finish, we fold the fabric back and sew a straight line to prevent un-raveling. How the top edge of your drape will be sewn, does not affect total height. Some styles are spaced every 12" by default, but custom spacing is available. 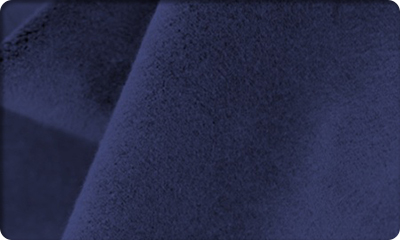 Grommets & Ties is a popular choice for attaching to pipe battens. Curtain Snaps are a good choice when attaching to a track. 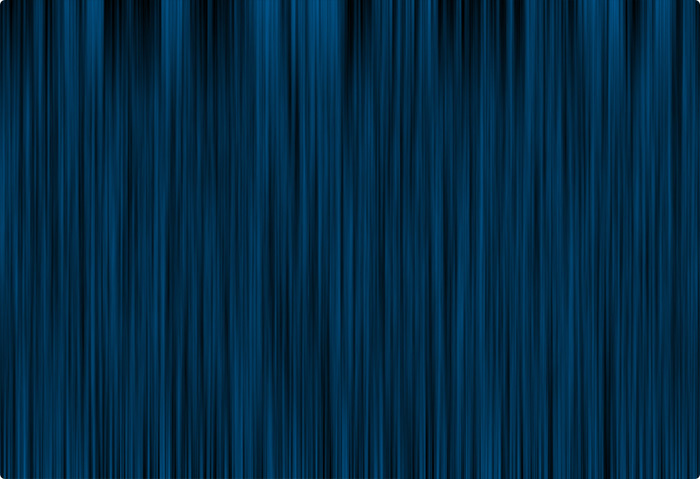 Determines how the sides of your drape will be sewn, will not affect total width. 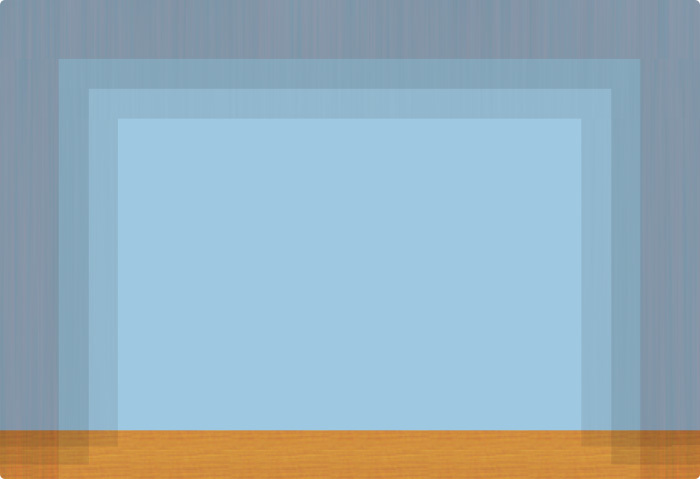 Bi-Parting pairs also have a Center Finish where the two sides overlap. Our most common side finish is a simple 3" hem. For Bi-Parting pairs we recommend a Center Finish of 27", this gives enough overlap so the rough back finish of the drape doesn't appear when a person walks through (when closed). How the bottom edge of your drape will be sewn, does not affect total height. Pipe Pockets are a good choice for cycs and drops since they keep the drape as flat and wrinkle-free as possible. For drapery which is flown we recommend Weighted Pockets to prevent swaying in your rigging lines or when people or scenery pass the drapes. A simple Pipe Batten is the most economical choice if you don't have an existing attachment point for your drapery. We use 1.5" ID Schedule 40 Pipe, which is the industry-standard and very robust. Our Standard Duty track is the most common and works with drapery up to 20' high. Handles up to 10 lbs. per carrier, only available in a straight layout. This Heavy Duty track is what we recommend for drapery over 20' high. Handles up to 25 lbs. per carrier, only available in a straight layout. Low Profile track is also available, this track is perfect for studios and small spaces since it can be curved. Handles up to 7 lbs. per carrier, curving layouts available (4' recommended radius). We also carry Light Duty track, however this is best suited for meeting rooms & small windows. Not recommended for drapery higher than 10', or heavy fabrics. Track/Pipe has to be suspended from your ceiling in some form. For light-duty (small window) track we also have a wall mount option. Mounting points are usually located every 6', but spacing of 4' or 8' is sometimes recommended. How these points attach depend on your building, and we'd be happy to answer questions on your specific venue. If your drapery is a single piece, then you want a One-Way track layout. In the closed position your drape is stored on one side, and slides across when opened. 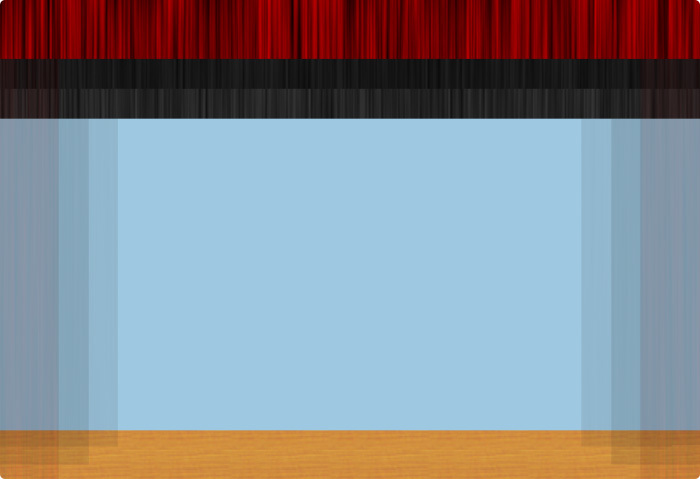 Bi-Parting drapes are sewn in pairs and designed to open/close towards the middle. In this configuration we stagger the tracks to allow an overlap in the center. In addition our Low Profile can be curved for highly flexible layouts, perfect for TV studios and cramped spaces. Walk-Along is our most economical option, in order to move the drape you just grab the side and pull! With Hand Operated a rope loop is made which passes through the entire track and comes down towards the floor on one side. By pulling the rope loop you can open/close the drape from offstage. Motorized systems are also available, allowing for integration into building management systems. Pivot Devices are used with drapes up to 6' wide and allow you to pivot the drapery for optimal sight-lines and backstage access. You can optionally add indexed stops, which are spaced every 22.5°. There are also Travelling Pivot Devices, which move along a track. An optional neoprene brake kit prevents inadvertent movement. Use our step-by-step guide to generate a request for pricing. Have a photo or related file?